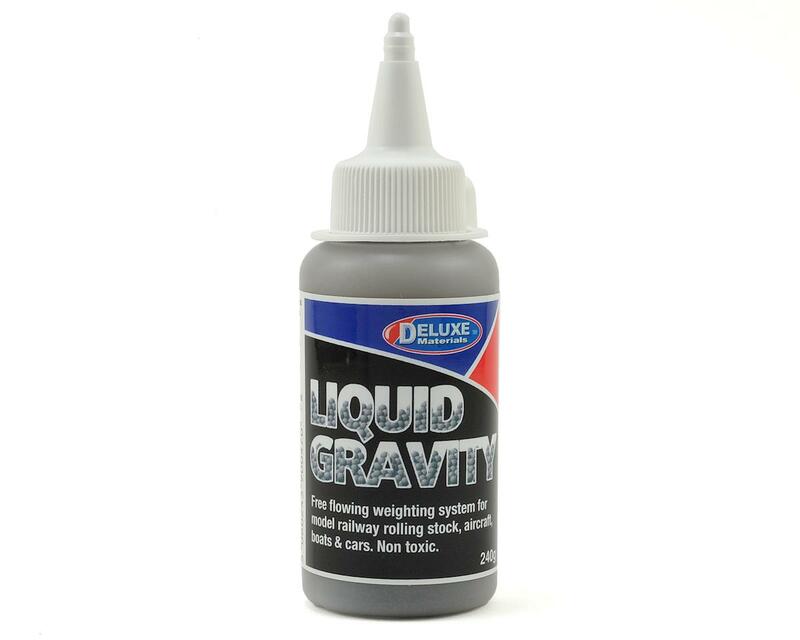 Deluxe Materials Liquid Gravity is a non-toxic, easy flowing, weighting system for scale military models, railway rolling stock, model planes, boats and cars. Liquid Gravity is essentially tiny beads or balls, that are weighted. Specially designed to pour into small cavities and set in place with your favorite Rocket Cyano (DLMAD43-46), Speed Epoxy or thin CA.